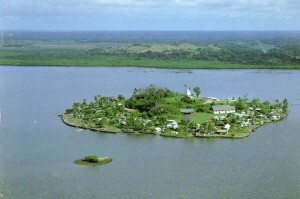 Here is a photo of the island I’ll be staying on. Our family home (my aunt lives there now) is on the left in this photo and has a pinkish-brown roof. I’ve never been there, but that and the house next to it has been in my family for generations. There’s a fantastic history to this island.It ruled all of Fiji for a very long time (thanks to an English sailor who gave everyone on the island, and none else, their own rifle). They were unstoppable, but united Fiji. 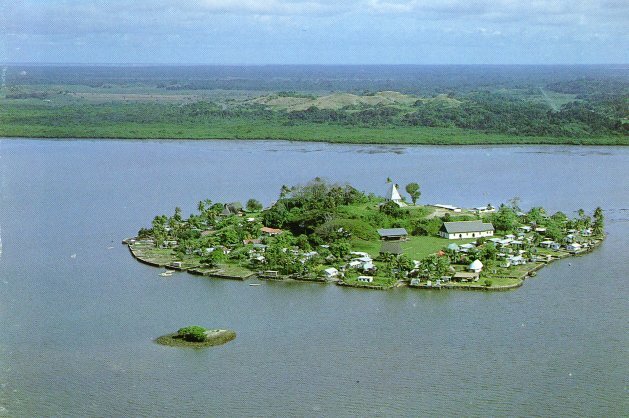 And now this island is known as the Chiefly Island since all of the chiefs were from here. However, my ancestors were on that island but not as chiefs; instead, they were warriors — the warriors — known as Vusaradave. They were very like the knights of the round table, an honorable few who were privileged and second only to the chiefs. Anyway, that’s where I’m going.